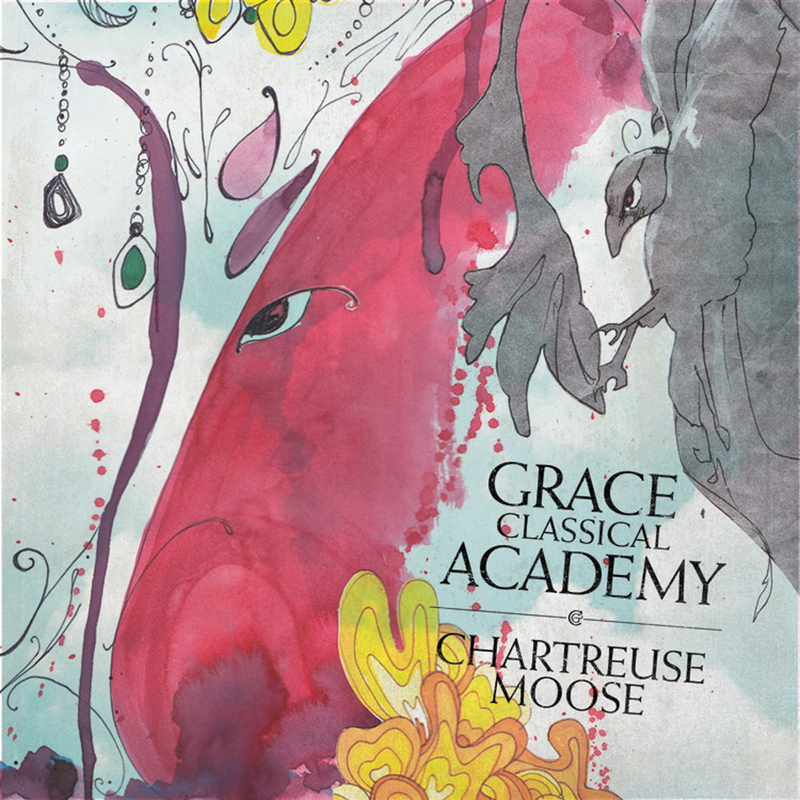 Produced by Grace Classical Academy. Recorded, Mixed, and Mastered by Eric Schuchmann. Additional Recording by Corey Cowan. Artwork by Luisa Cooper. Design by Katie Canada. Recorded at The Studio in Springfield Missouri, USA. Performing on Chartreuse Moose: Corey Cowan, Jason Wead, Tyler Nelson. We began working on this album one year ago, February 2010. It all started when songwriter Tyler Nelson approached me about submitting a demo to Moodring Records. Several months went by and I hadn’t heard anything, I figured they had decided to move in a different direction. Then one evening I got a knock on my door, it was Corey Cowan guitar player for GCA, he handed me a disc of a two song demo. I put it in the CD player and instantly feel in love with Six Ships To Starboard (demo). So I asked them to come in record a few singles for Moodring Records. We got them in February 2010 at The Studio and cut the two singles in an hour. Things were going good so I asked them if they had anymore they wanted to cut. Two days later we had the basic tracks for twelve songs cut. We began working on recording the overdubs and had all but a few parts recorded before I moved to Saint Louis. Shortly after that Corey and I were hired to due a US tour in May-June of 2010. After the tour Corey and I got back into the studio to finish up the overdubs and began mixing. That process took us another 6 months of revisions and reflection periods.